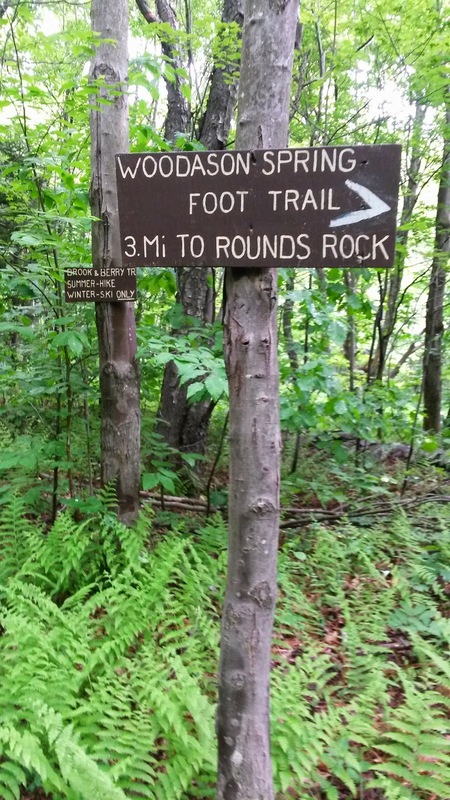 Last week we walked the Woodason Spring Trail and the Rounds Rock Trail from the Visitors' Center on Rockwell Road in Lanesborough. 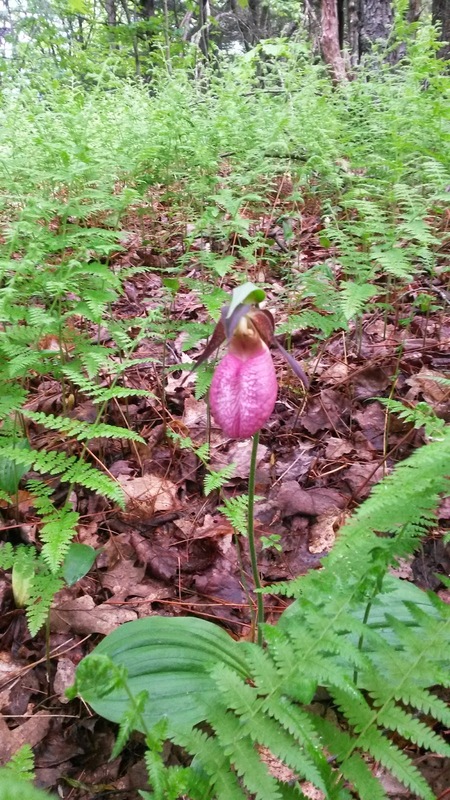 I love this trail in the spring when the Lady's Slippers are in bloom. There's a spot where the conditions must be just right for them because there are flowers everywhere you look. 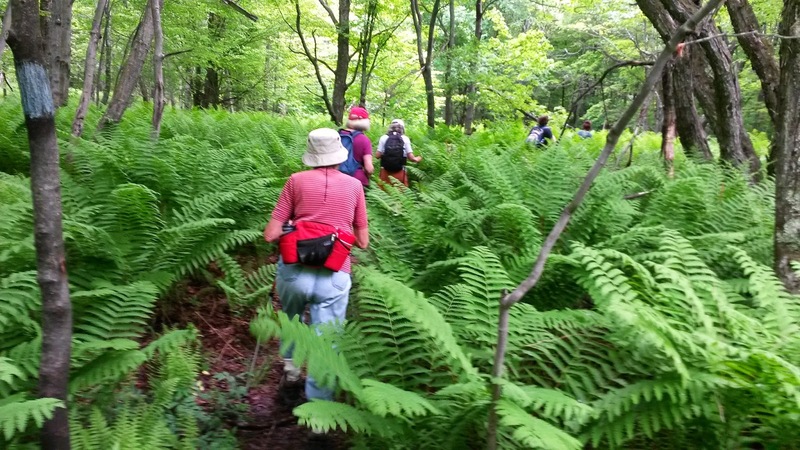 The ferns were amazing. This year I am attempting to learn the names of as many as I can stuff into my head, which sometimes doesn't seem like very many! Perhaps when I learn a new one an old one drops from my memory? Anyway, life goes on and I still enjoy them! 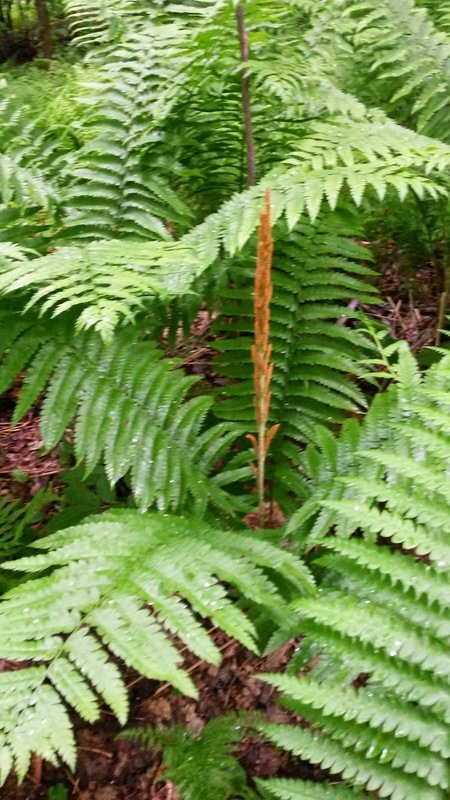 Cinnamon Fern with separate brown fertile fronds. 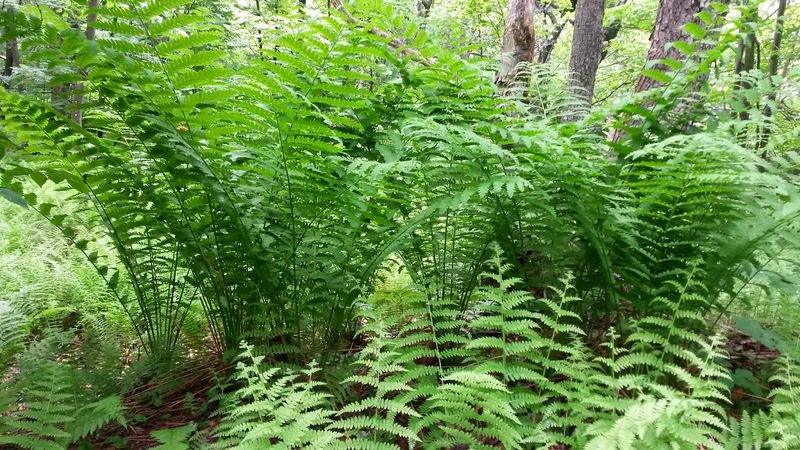 Some species have fronds 4 and 5, even 6, feet tall. 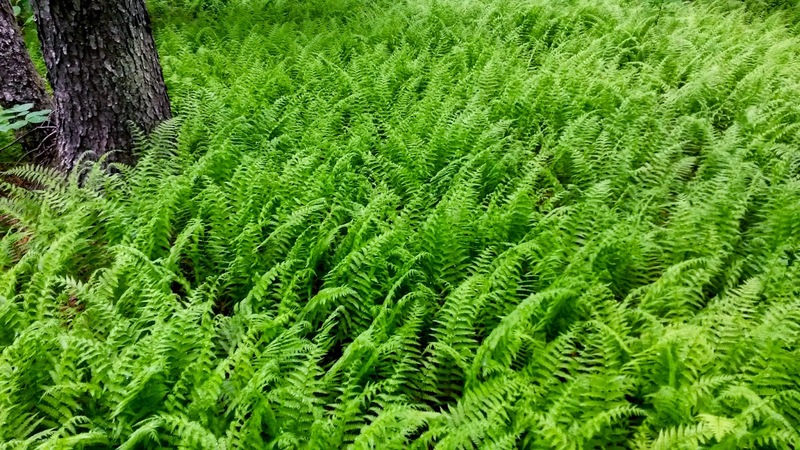 The Hay-scented Fern formed a low sea of green. 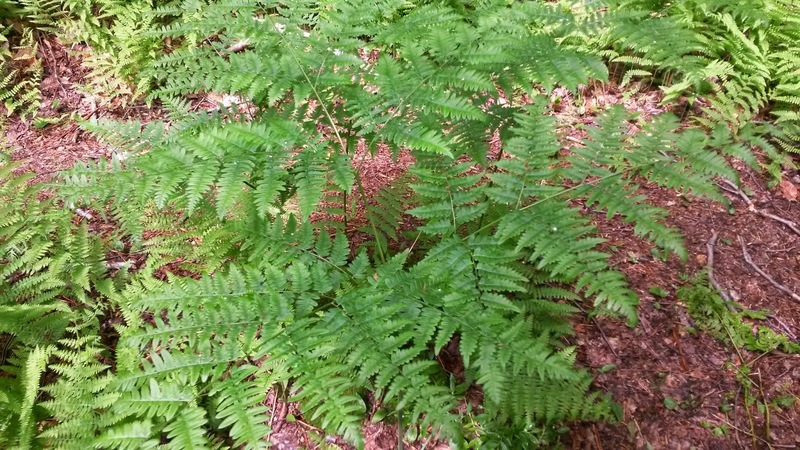 The Bracken Fern is tall with one stem dividing into three fronds. We almost disappeared among the greenery! 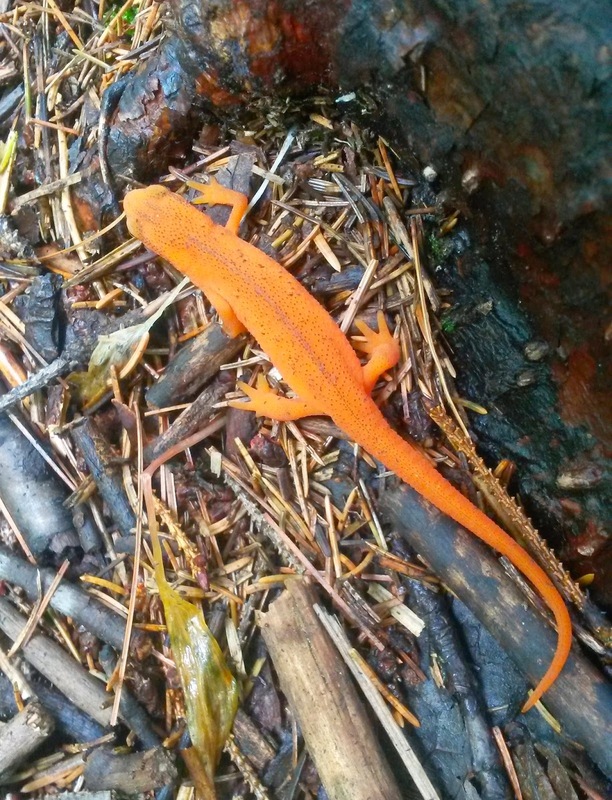 The red eft is the land form of the Eastern Newt. I love these bright little guys! When the trail is moist you may see dozens of them. 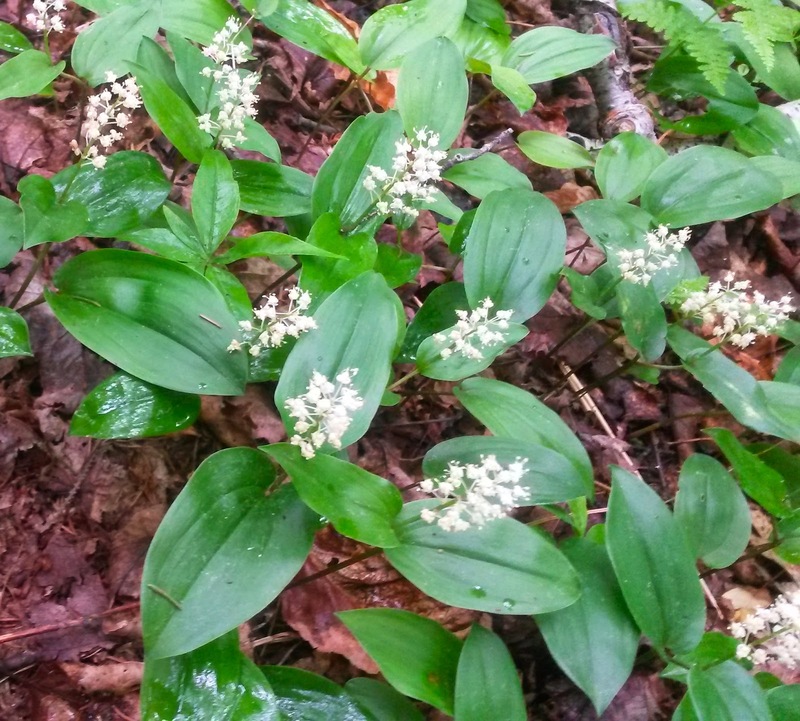 Canada May Flower or Wild Lily of the Valley. 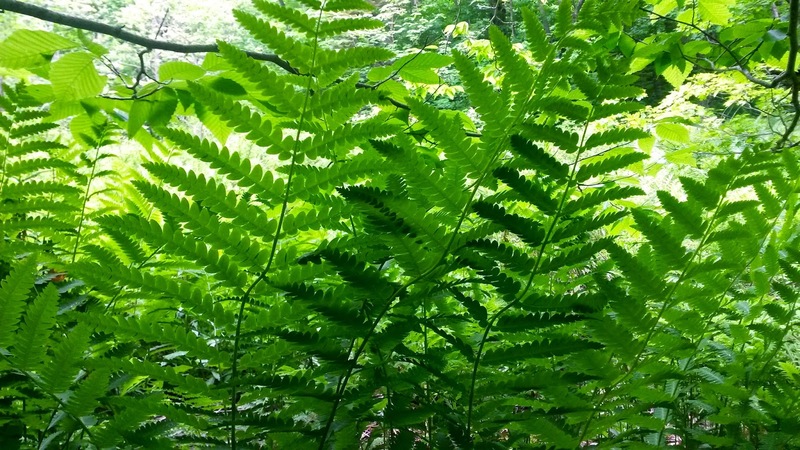 The huge ferns looked tropical and lush. One of many Pink Lady's Slippers. 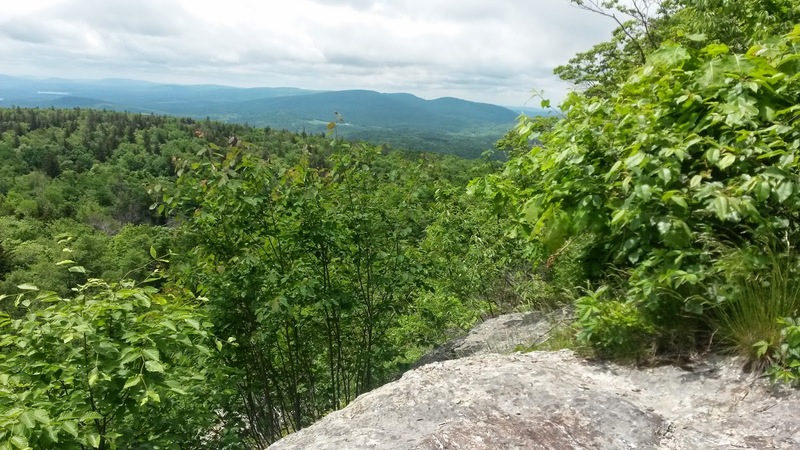 A section of the view on the Rounds Rock Trail.